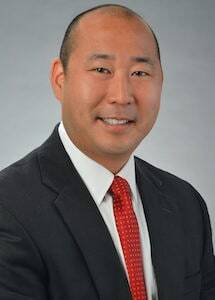 Robert S. Miyashita is an Partner at Bickerton Law Group who focuses his practice on claims involving serious and catastrophic injuries, wrongful death, and medical malpractice. Robert was born and raised on the island of Oahu. After living and practicing law in Florida, he and his wife decided to return back home so they could raise their daughter, Amaya, in Hawai‘i where she would be able to learn the unique culture of the state and appreciate the true essence of aloha and ‘ohana. The combination of Robert's past experiences and his strong belief to do what is right makes him a passionate and strong advocate for clients who have been injured or wronged through the negligence of others. He has received recognition for his effective representation of clients through Martindale-Hubbell (Preeminent A/V Rating), Superlawyers, Top 40 under 40 National Trial Lawyers, Top 100 Trial Lawyers, and Top Attorneys Rising Stars. Prior to moving back to Hawai‘i, Robert worked as lead counsel at Romano Law Group on complex multi-party litigation (pre-suit through trial/appeal) involving, among other areas of law, personal injury with a focus on spinal cord injuries, traumatic brain injuries, catastrophic injuries, and wrongful death. Robert represented clients in matters relating to motor vehicle crashes, trucking crashes, boating crashes, airplane crashes, product liability, premise liability, negligent security, employment law, bad faith, and mass torts. He has also been appointed lead counsel in the mass torts division and is responsible for handling claims involving serious injuries/wrongful death caused by prescription medications such as Actos and Propecia. Robert recovered millions of dollars for clients in pre-suit and litigation cases within the first several years of working at Romano Law Group and has successfully negotiated high-dollar settlements, including multi-million dollar settlements. While in Florida, he was a proud member of Florida Justice Association (Eagle Member), Palm Beach County Lawyers Association, and Western Trial Lawyers Association. Robert also was lead counsel for Travelers Insurance Company. He maintained a full case load involving automobile crashes, premises liability, property damage, construction litigation, personal injury protection, uninsured/underinsured motorist coverage, negligent hiring/retention, wrongful eviction and general negligence claims. In the company's major case unit, he worked on high-exposure matters that involved catastrophic injuries and wrongful death claims. In addition, Robert was the appointed delegate for his South Florida region to handle Personal Injury Protection/No-Fault matters in pre-suit and litigation. As the appointed staff counsel liaison, he was responsible for cases involving insurance fraud and worked very closely with the special investigations unit and the claims department. Robert graduated top 6% of his class from Florida Coastal School of Law. Throughout law school, Robert consistently maintained his status as Dean's Scholar (Top 10%). He was recognized for ranking top of his class for Legal Writing and Research and Alternative Dispute Resolution. Robert was selected as a member of the nationally recognized Moot Court Honor Board (Top 5% in Appellate Advocacy) and was selected to intern at the Florida Supreme Court. Robert had the great privilege to clerk for the (former) Florida Supreme Court Chief Justice, the Honorable Ricky L. Polston. Upon passing the Florida Bar, Robert was invited by the Florida Board of Bar Examiners to become a bar examination reader based on his demonstrated high academic performance, bar examination scores, and outstanding personal and professional character.